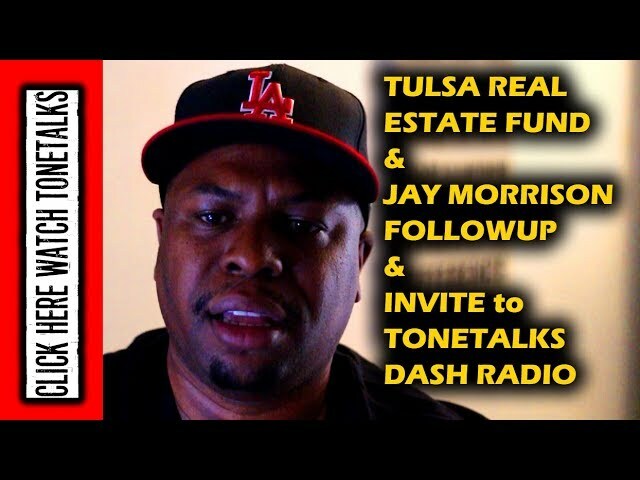 BTR News – In a recent video, Attorney Antonio Moore continues to investigate what appears to be the latest scam, the Tulsa Real Estate Fund, to get Black people to invest in symbolism that does not create wealth for them and blatantly tells them that fact in the financial documents that perhaps many have never bothered to read because they are mesmerized by the Black propaganda imagery being deployed. Unfortunately, a small but still significant portion of Black people are wrongly believing that the poverty rates we see in the Black community today are because people are not working hard enough or not making their money work for them. It descends into victim blaming by assuming that most Black people are spending their money on car rims and Jordans instead of investing in Wall Street. Some of these people will also blame “integration” and focus on a few black businesses like hotels going out of business during the sixties because they claim Black folks just wanted to run and give their money to the white man, a terrible mischaracterization of Dr. King’s work and the general mindset of his generation intent to get federal laws passed ending Jim Crow segregation which during. the number one employer of Black people were white people, not the few small Black businesses that eventually were burnt down to the ground and its Black owners and their families shot or hung by white terrorists. An article published by the LA Times in April of this year talks about a few of these instances of terrorism being employed against Black people as a way for white people to business competition from them. Some may attribute this mentality to reality escapism that some exhibit in trying to employ a coping mechanism, a psychological need to believe that Black folks had it going on so much before Dr. King messed it up for everyone ignoring the massive poverty of that day and they suppose that if only we remained “separate and unequal” we would be in better position financially as a collective today. This is revisionist history, to say the least. Perhaps some of it can also be attributed to sincere ignorance from being fed propaganda by Black people asking for Black dollars without the individual bothering to research the well-documented history for themselves. Today, financial charlatans, hustlers and what I have termed, non-religious prosperity pimps, are using the symbolism of places like Tulsa, Oklahoma, a thriving community that consisted of only a few hundred Black people that had become known as “Black Wall Street”. Like other “Black Wall Streets”, named after the famous slave trading auction in New York City that later turned into the capitalist investment capital of the United States, that by the way still engages in trading in slaves via private prison stocks, I digress, but only a few hundred families were benefitting while millions of Black people lived in very impoverished conditions suffering from the new forms of slavery that arose after the American Civil War. These successful Black communities appeared sparingly across the country but were largely all burned down by terroristic whites and the Black residents run off the land if not outright murdered in mass. No, the Civil Rights Act of 1964 did not destroy Black businesses, racist white people did and the state and federal governments allowed it and Black prosperity pimps need to stop lying about it in order to sell Black people on predatory schemes meant to make just a few people rich ignoring the reality of the continued pervasiveness of economic racism in American society. Reparations are owed to African-Americans not just for slavery past but the prison slavery that is still ongoing, the racial terrorism and theft of land in Black hands and the United Nations just this year issued that assessment in a report. If Black people collectively are to rise above their collective deplorable economic condition, just as the white peasants of Europe who immigrated to the United States were aided by government programs, a government-sponsored “New Deal” must take place for them and investing money most don’t have into financial scams is a not a solution to our collective wealth problem. Mr. Moore’s other videos on Black wealth education can be found on his Youtube channel ToneTalks. Black Talk Media Project founder Scotty Reid is the host of BTR News and New Abolitionists Radio which he co-hosts. He has been hosting and producing news talk radio and podcasting since 2007 and has interviewed hundreds of guests on various topics. He is also a freelance writer who focuses on social and political issues from around the world and has been published by various outlets. Currently, the live program is on hiatus but check the feed for pre-recorded podcasts. Well said. It’s disheartening to hear. We look for easy money, pyramid schemes, coffee, herba whatever. What about Jay’s Tulsa Fund led you to conclude it’s a scam? I’m not seeing too much different about the structure than white owned REITS. Do you have an issue with the project, or is it the fact that Jay is black which has led you to instantly suspect a scam despite Jay’s air tight business reputation in real estate?